There are currently three models in the Infinity range — the square wooden variant is probably of most interest to smaller studios. Diffusers are usually best deployed in larger rooms, but these new designs could prove useful in the smallest of studios. Based in Canada, Sound Momentum have developed a relatively shallow diffuser that’s designed to work even when sited fairly close to the listener — something most diffusers don’t do, and so the company have been successful in applying for a US patent. Conventional diffusers use a deep profile, often comprising square or rectangular wells of differing depths, to allow them to work down to lower mid-range frequencies, but thet need to be located several feet from the listening position to allow them to adequately diffuse the sound energy they intercept. There’s no technical spec that shows over what frequency range the Sound Momentum panels are intended to be effective, and measuring such things scientifically requires access to expensive facilities, so my testing procedure involved listening to what difference they made when installed in a studio and drawing my conclusions based on what I heard. The idea of a diffuser is not to absorb energy or reduce reverberation time, as with, say, foam or mineral-wool based products, but rather to scatter incident energy so that what’s reflected back into the room is incoherent. Taking light as an analogy, it’s rather like replacing a flat mirror with lots of tiny mirror fragments arranged at random angles, so that the reflection no longer ‘makes sense’. In a room full of mirrors — or in the case of sound waves, flat walls — it can be very difficult to separate an object from its reflections, but replace the flat mirrors with scattering ‘fragmented’ mirrors and the original object stands out clearly. Sound Momentum’s Infinity is a panel approximately 23 inches square, and it comprises a heavy ply backboard, hardwood framing around the edges and a grid of curved-hardwood blocks, that are cut as asymmetrical sections of a cylinder and laid in alternate directions. The quality of construction and finish is excellent and these panels would not look out of place in a domestic setting. A single picture-style hanging point is fitted to the rear of the panel. Sound Momentum recommend their Infinity panels for covering the first-reflection ‘mirror points’ on the left and right side walls, or placed behind the listening position, and tell us that the panels have a beneficial effect even when placed as close as six inches from the head — though it’s very unlikely you’ll need to get that close, even in a small studio. The shallow geometry of the diffusers is comparable with some other designs that use square blocks, which suggests that it’s the curved shape that helps diffuse the sounds more effectively when they’re used up close. A related product in the range is the Infinity LF panel, which measures approximately 15.75 x 37 inches, and which we also received in the review shipment. As this product is designed specifically to go behind floor-standing speakers, they’re probably of more interest to the serious hi-fi market — simply because they won’t be tall enough to be placed behind stand-mounted speakers in a typical studio control room. Thus, I won’t dwell on them for too long in this review. Essentially, the Infinity LF Panel is intended to help absorb some low-frequency energy in addition to performing its HF diffusion duties. Other than its size, its construction looks identical to that of the 23-inch Infinity panel, though these LF versions are intended to be spaced from the walls using the included resilient angled legs that tilt them back slightly. A pair of rubbery mechanical mounts holding metal rods on the rear of the panel are said to help tune/damp the panels. In addition to any LF benefits it has, the front of the panel still behaves as a diffuser for mid and high frequencies. If you find these of interest, I’d suggest checking out the video on the Sound Momentum web site, which includes sound examples. Finally, there’s a much lighter version, the Infinity Pro Studio panel, which is vacuum-moulded from polystyrene sheet using the same profile as the Infinity, with a flat flange all the way around for mounting. As they’re hollow and much lighter, they could be prone to resonating unless fitted correctly, so double-sided adhesive tape is included to ensure an airtight seal on all four sides. This mounting method is intended to damp the panel, making the sound tighter and less resonant, though a little ‘bonus’ mid-frequency absorption is likely to result from the panel flexing. In subjective terms, the diffusion created by the square Infinity panels does seem to me to be quite effective in countering the effect of a reflective wall. I also found it interesting that even when the Infinity panels were placed as close as a foot behind me, the sense of stereo depth from my monitors seemed to increase, as the diffuse energy bouncing back to me produced a heightened sense of ambience, making the distance to the wall behind difficult or impossible to judge. At two feet square, these panels are relatively small, so unless you have a lot of them they’ll have less effect at a distance, simply because as they’ll intercept less of the sound that is likely to bounce back to you. 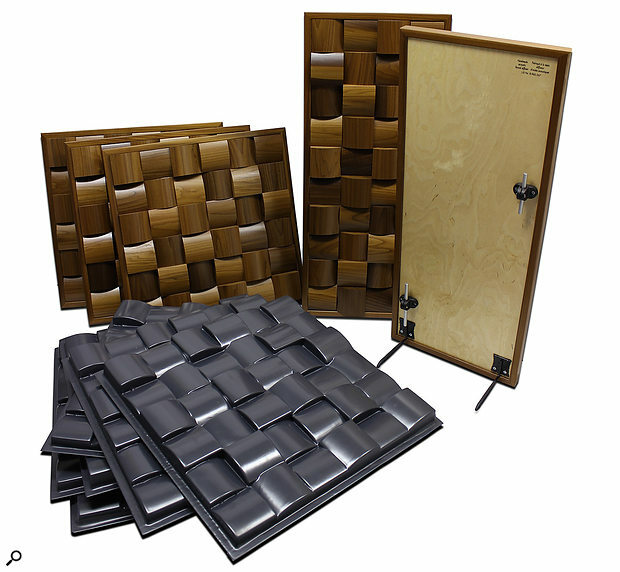 They work well at the mirror points to either side of the listening position in a smaller room, though where the overall reverb time in the room is too long, you may find that you need to combine them with traditional absorbers — while diffusers can be very useful, they don’t really affect the reverb time of a space. In larger spaces, the moulded Infinity Pro Studio panels come into their own, as their lower cost makes it practical to treat a larger wall, such as the wall behind the mixing position. Being hollow and fairly light, they’ll also absorb some energy lower down the spectrum, by acting as a damped membrane (though you could fill them with damping material if you only want diffusion). The Sound Momentum Infinity range of diffusers seems to work at least as well as anything else of a similar dimension, but unlike most products they produce a beneficial effect even when used fairly close to the listening position. They’re also the most attractive pieces of acoustic treatment we’ve been sent to date, which will clearly appeal to those with private media rooms or where the studio space is shared with a living space. Where large areas need to be covered, the lighter and cheaper Infinity Pro Studio panels may be a more practical and more economically attractive proposition, and these can be spray- or brush-painted in different colours to match your decor if aesthetics are a concern. Most wooden diffusers employ rectangular blocks, though there are moulded plastic alternatives, some of which rely on a more curved profile. Brands to check out in this area include Auralex, Primacoustic, Vicoustic and RPG. Beautifully made and very elegant. Diffusers produce worthwhile subjective results even in smaller spaces. 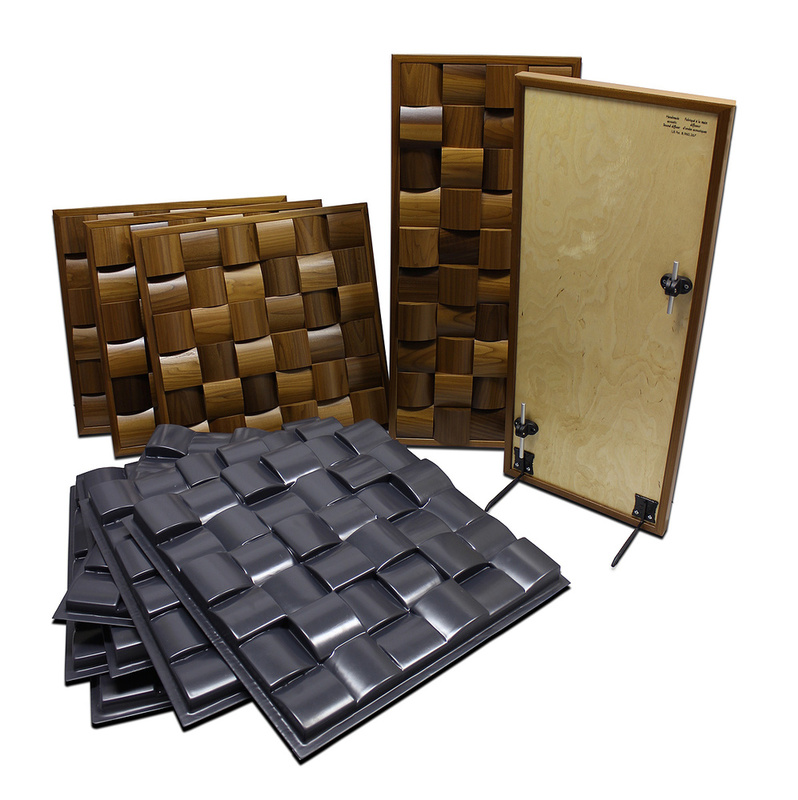 Other than the obvious one of cost for the solid wood panels, there’s only the issue that the LF panels, being designed for floor standing speakers, are better suited to the hi-fi market than to studios. Sound Momentum’s novel approach to acoustic treatment offers worthwhile diffusion in smaller rooms — and the panels look fantastic! Infinity £277.02; Infinity LF £330.10; Infinity Pro Studio £87.08. Prices per panel, excluding duty, VAT and shipping. Infinity (each) $395.60; Infinity LF Panel $471.12; Infinity Pro Studio Panel $124.39. Prices exclude tax and shipping from Canada.